All successful photography businesses need to acquire new clients and communicate with them effectively... and MyPhotoApp helps you do just that! MyPhotoApp helps you succeed with your client acquisition and interactions using an app centric approach. It is a smarter and more efficient way of doing things because your busy clients can easily interact with their photos and YOU wherever they are via their mobile device... not just when they are near their computer. MyPhotoApp helps your business grow. Whether you want to attract and retain more clients, or generate more real revenue. Photographers are using apps to expand and prosper. Don't be left behind. Embrace apps in your business plan and start dominating. How does MyPhotoApp compare to other app builders? MyPhotoApp is the best regardless of measure: cost, speed, function. MyPhotoApp is a true app builder, not just a set of templates that you fill in. MyPhotoApp have various subscriptions to match everyones budgets and needs. MyPhotoApp is much more than an app builder, it integrates Apps, forms, client database, texting (both inbound and outbound) and emailing to provide a comprehensive client acquisition and communication system. And MyPhotoApp has the best customer service and most detailed knowledge base in the industry. I am a new photographer, can MyPhotoApp help? Heck yes! MyPhotoApp can help photographers of all skill levels and experience. I am an artist not a techie, will I be able to use this? Not a problem, you can create basic apps within a few minutes with our easy to use drag and drop interface. Of course more sophisticated apps will take a while longer, but we have a top notch knowledge base and world class technical support to get you going when you get stuck. We have a strong community in our facebook group so you can easily interact with and learn from other users. I want more than just Photo Apps, how powerful is the app builder? 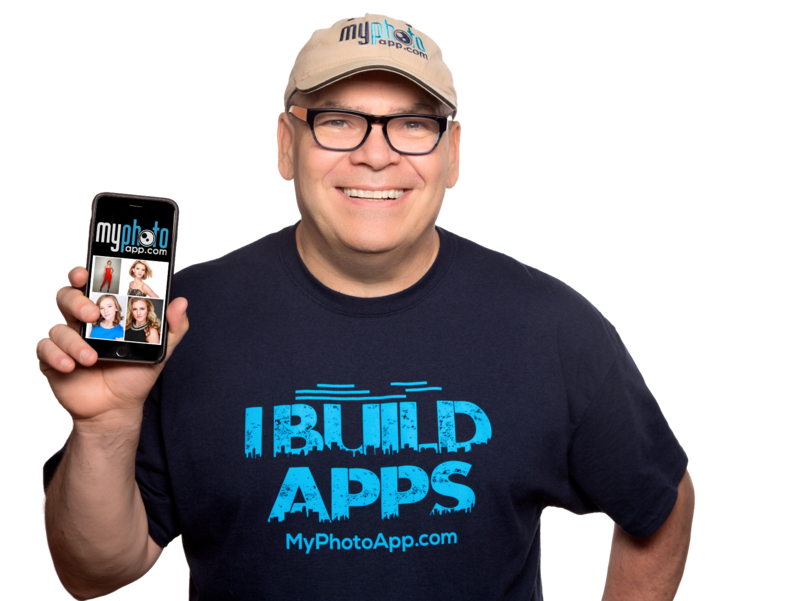 MyPhotoApp is the most powerful and feature rich app builder in the photography industry. You can build a wide variety of apps... client apps, model release apps, websites, landing pages, contest apps, magazine apps, etc. There are dozens of app types you can create and use for clients. What about the CRM (Client Relationship Management) feature? MyPhotoApp is the only app builder with an integrated client database to manage your clients, their apps and even your client appointments. Powerful search, communication and branding capabilities insure easy and professional interactions with your clients. How does MyPhotoApp help with client communication? With industry leading integration of apps, email and texting, you have a super powerful combination for effective client communications to keep them engaged with your brand. Is MyPhotoApp a sales tool? You can use MyPhotoApp to assist with your sales by either using the Proofing, Shopping cart, or In Person Sales (IPS) sections to match the way you sell your photographs and products. Can you provide an example of how someone uses MyPhotoApp in their business? A potential client sees one of your sales funnel lead page apps, or maybe views one of their friends client apps and initiates a contact request via a form on the app asking for pricing information. Their contact information is automatically entered into the MyPhotoApp CRM database, so you can easily text them your pricing app. They call you and book not only because of your work, but because of your process too which helps differentiates you from others. You go into MyPhotoApp and record their appointment which causes an automated email and text message is sent to them so they have a written copy of their appointment. The appointment notification includes your session preparation app so they can be prepared. A day before the appointment, an automated appointment reminder is sent out for them to confirm (or decline) their attendance. When they arrive for their photography session, you have them sign the model release app. You shoot the session and schedule a sales session. If you do not do in person sales, you can send them a proofing app or a shopping cart app for them to purchase. These apps are handy when multiple people are making purchases (e.g. grandparents). You can use the MyPhotoApp IPS features to conduct the in person sales. One of the products you offer is a client app that includes pictures from their session and a contact form with an offer. This app is the seed to generate future bookings and the process repeats for your next client. Here are some of the responses professional photographers provided when asked what is the main business problem that MyPhotoApp is solving for them. Getting my model releases done at booking. One less thing for me to think about. it happens automatically. Answering the digital file question. Started out using it to show customers their photos and ended up using it for everything. Easy way to get clients to share their photos online. As a business model that does not sell digital files, MPA gave us a solution that satisfied the client need without giving away our lunch! On the spot sharing of my gallery to prospective clients. Help with my client experience and word of mouth referrals. As I build, I am constantly flooded with new ideas for how to make the experience better for my clients so they will share with others. My Photo App relieves some (not all) of the pressure put on us to provide digital files of our photos. Some folks are satisfied with the app and we offer it for free with certain premium products. We use MPA as an upsell. The Seniors want it, so they lean on their parents to get the package it's in. Let's the Senior participate in the upsell! As a print artist specializing in Senior portraits, MPA has provided me with a way the kids can see and share their images without infringing on our copyright. Win-win! People asked for galleries online which I did not want to supply. Helps me with my marketing, since the app is so easy to share. Bridging the gap between clients seeing work out for print to collection. Clients who say.... "but can't I just have all the digitals...?" Making extra money with photos we have already taken. Getting the kids involved in the picture selection process. Families are also now able to get multiple opinions on what to select and share with out of town family. A way for clients to share their session pictures. Easy and aesthetically-pleasing solution for getting digital images to high school seniors so they can share them online. It's a quick way to comunicate with our customers about the portraits. No more emailing all previews to client. I can make my clients app, download previews and send in minutes!!!!! Marketing and a Gallery that does more than just show photos. Burning and delivering DVD slideshows. Gone!! Providing images to my clients for posting on social media. Quick and easy proofing for my seniors. Hope to expand to business clients when slow season comes around. Getting to people that our emails couldn't! Able to give a sneak peak days before brides receive the DVD and giving Seniors the ability to share there pictures with friends weeks before they receive there order. Finding a vehicle to convey information to seniors who don't read anything that actually looks like text! Word of mouth. These apps are good for that. I just need to implement the apps more and learn how to use it to my benefit. It's helped me increase my bottom end. Getting pics to clients quickly in a stylish manner. Getting sharable images to clients without having to post a bunch on facebook. I work with 90% seniors, so this was huge. I also have found a simple, beautiful way to send forms with MPA. Love, love! What value is MyPhotoApp to your Business? What is the return on investment you can achieve using MyPhotoApp? There are dozens of ways you can use MyPhotoApp to add value to your photography business. Here are just two ways which you can implement MyPhotoApp within the next 30 days to generate revenue. The calculators will help you determine the value MyPhotoApp can bring to your business. I am certain that if you have any sort of client base, you will see that MyPhotoApp can add immediate value to your business. To learn about more ways MyPhotoApp can help your business, watch the How To Grow Your Photography Business Using Apps video. You give all your previous customers there own app as a free gift to remind them of you and include an offer to entice them (free app) to return for another session. ROI is yearly return on investment in MyPhotoApp assuming the numbers you entered are correct and you purchased a yearly professional license of MyPhotoApp for $299. Values over 100% are desirable. You add MyPhotoApp to your product catalog and sell apps to your clients as a product. Give them another product to purchase that is also a marketing tool for you. 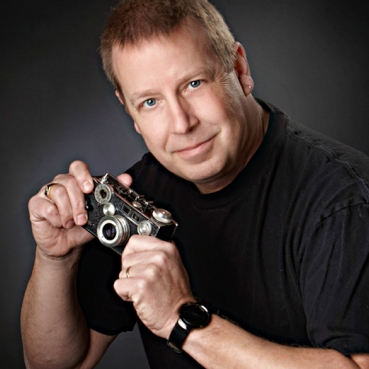 Hi, I am Jim Cook, inventor of awesome things including MyPhotoApp. You probably don't know me yet, but you will as I am very visible much like I am sure you are in your business. If you should contact us, it is likely I will be the one to respond to you personally. Staying in touch with users has helped me hone MyPhotoApp into what it is today. MyPhotoApp is unique in the industry... there isn't anything else like it. I am driven to keep it that way too. MyPhotoApp is currently on version 13.3 and 13.4 is in the works. I average creating a new release a little more frequently than a new release a month... who else does that? Each release has new features that users request and features they didn't know they needed till they started using them. 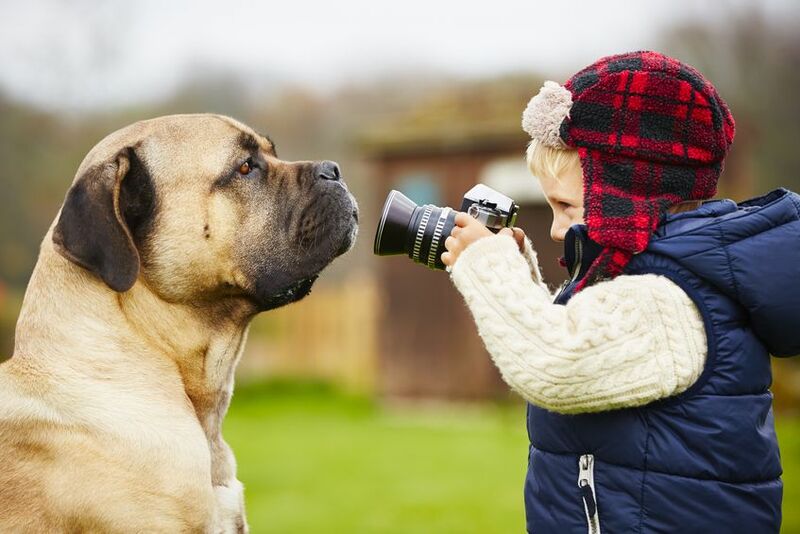 You see, I am a photographer like you. We, my wife Melissa and son Michael, have a full time active studio specializing in pageant photography, Cook Studio (Facebook), and we use MyPhotoApp every day to improve our bottom line. You can too. In fact, our Pageant Photographer website is a MyPhotoApp website. I totally stand behind MyPhotoApp with a 7 day free trial and a 30 day money back guarantee. I offer both yearly and monthly subscriptions plans to suit your budget. Your satisfaction is my #1 priority! I encourage you to give MyPhotoApp a try to experience the value that it can bring to your business. Let me know how it is working out for you. I never get tired of hearing success stories. P.S. I'm certain that MyPhotoApp will add value to your business. If it doesn't, I want to hear from you. My personal email is jim@myphotoapp.com. Oh yeah... so you can put a face to my name, this is me demoing MyPhotoApp. We asked our customers "How would you describe MyPhotoApp to a photography friend who didn't know anything about it?" and here is a sampling of the responses. After Facebook, this marketing tool is a must have ! Simply the best photos App builder out there! MPA is one of the easiest to use yet most powerful tools to get your images spreading on the number one viewed device today - cell phones. A marketing tool cleverly disguised as an app. The best way to showcase your images to prospective customers and the answer to "do you sell digital files?" It's a great tool for marketing and displaying your photography. Clients love it! It's their own personal photo album for their phone. A way to make money on the side. A platform that makes it easy to personalise client interaction - the backbone of my business! My Photo App is the greatest tool to market your studio that has ever been created. Just build your app and send to your client and in short time all of their friends will know about you. Also you can sell apps to non photography clients to pay for the cost for a year. The easiest way to share the images with your clients! It's the perfect way for the clients to share their images with friends and family to! I love how easy it is to build an app! It's an app where you can put the bride's best pictures (you choose or she can choose) on her phone. She can show her friends pictures straight from her phone and even share them on social media. Since your logo and contact info is on the app, it publicizes your brand. You can charge a fee for the app, give it to brides for free or offer it as an incentive for booking or even as part of your largest package. It's easy to use and doesn't take much time to create an app for a client. MyPhotoApp is the ultimate tool to build web apps easily and quickly. There's nothing like it on the marketplace. Extremely well priced, it's a must have for any photographer who wants to exhibit and share his/her work to existing customers and entice new prospects to become clients. MPA is a joy to work with where you'll see the results immediately and be able to publish an app within minutes. No coding required, it's template driven and does not require App Store approval to be shared worldwide. You can also create apps for businesses, communities, and non-profits under their own branding. Utilising QR Codes enables quick access and download via your browser and being mobile ready, makes it a breeze to navigate. Having MPA as a photo tool in your studio puts the icing on your business ..... it's the secret to sweet success! It is a quick and easy way to get seniors what they want (images on their phone) and helps to sell albums as kids don't really care about the physical prints so much anymore. It's a great way to get me exposure on social media. And it's a great tool to advertise with on social media. I placed an ad on Instagram linked to MyPhotoApp model form and got 14 applications filled out in 8 day for a cost of $86. It's going to save me money on direct mail costs and best of all, I can have an ad up and running in a few hours instead of weeks! I have only scratched the surface of what this thing can do! You need this app to grow your client experience. Like Need! I would advise its the most simple effective application to provide customers with a single point of access for the photograph gallery. Links can also be included to simplify other gallery locations from the app. Wallets on steroids! Answer to "Can I have my digital files?" Instead of your clients answering the question "Who took these?" the app tells them everytime. It is a way to put a clients favorite view on an app along with some advertising or coupon. A way for me to market my work to others. A way for me to carry a portfolio with me on my phone at all times. I tell them that it is a great way for your clients to share their images and that all your contact info goes with the app. It makes it a great marketing tool. Wallet photos for the modern age. MyPhotoApp is probably THE most user-friendly software I have every used. Not only that but I have never experienced customer service like this before in my life. This app is such a great way to get information out, to collect information or to even just market your work. It's awesome. Great tool for presenting pics to clients before print. Great for marketing. It's a little gift to my clients, a way to show off my images on mobile devices, and a marketing tool. A very unique app that provides a medium for my clients to easily share their images with friends & family. It also helps me showcase my own work to prospective clients. Clients have literally spent more with me JUST so they can meet my minimum phone app purchase. Best word of mouth marketing aid there is. What a terrific way to share images with your clients' friends and family while advertising your business at the same time! Easy to use, and everyone loves their own personal app! MPA is a vehicle to showcase and market your business and/or images in a unique visual medium with a wide range of app options customized for diverse target markets. Translation: Showcase the best of your business with a medium that your target market can download, view and share on desktop or mobile devices. the buzz and excitement it creates is priceless.Well worth the investment as a marketing/advertisement tool. It reaches your market with direct precision. Clients are so excited to show off their beautiful pictures to everyone who will look......I get a ton of positive feedback and referrals! I can't live without MPA. What started out as a simple app to give as a bonus to clients quickly became an integral part of my business. I use it for collecting my model releases, session bookings, samples, and collecting information via questionnaires. I love it. Not only is it a great product, as a client, Jim is so quick to respond to issues and incorporate your ideas into the product he offers to make it better. Thank you, Jim! A great tool to let clients feel special with their own gallery app! Quick and easy way to show a project/profolio to be shared with only interested parties instead of a whole website. An awesome marketing tool that's budget friendly and your clients will love! Hi, MyPhotoApp is a great tool for me to offer my customers so they can show off their photos to their friends and family. I would describe it as a new an inventive way to allow clients to show off their images while promoting your studio! It's a great tool for today's social media driven markets. Must have to show off your work. Clients love their very own app. It's a great tool that helps you share your images with clients and friends. A easy to use customizable app/website for marketing. Very easy to use and what today's seniors are looking for. Awesome way to create custom apps for your clients and potential clients. Currently, for me, it is a way to still sell "wallet-sized" portraits. it's an app that allows you to view the fantastic images we took of your son/daughter from your mobile device. My Photo App also has great marketing resources, and I'm just learning how to use them. one of my resolutions for 2017: understand instagram & how to market better. thank you for all of the resources you provide, Jim. It's a great way for me to share social media files with my clients and for them to easily share their images online. Great marketing tool to reach audiences through something everyone has with them everyday, their cell phone. No bad algorithms like on Facebook that restricts your audience. Word of mouth is the best advertiser. Great way to share social images. It's similar to a digital photo album in app form. 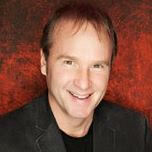 I use it as a client add-on/up-sell feature and it works as a marketing tool for my business as well. One of the most important tools we can have in the digital world we live in. It is a must have item for your marketing plan. I would describe MYPHOTOAPP as a mini website of your client FOR your client. A fantastic way to social share, up sales and get the BUZZ out about your studio. You cover it all! Thanks for such an awesome product. It's a custom app for your phone that has your portraits on it. You can share it with anyone. They are very cool! With the use of social media anymore, this app is a definite addition to increase your sales! It's a way to easily build custom apps for your clients so they WANT to share your work and your brand for you. But it's also so much more than that if you want it to be, creating the potential for a whole new income stream. MyPhotoApp has been a great help to us in making our portraits easily accessible to our best clients on all their devices. We use it as a reward for great orders and our clients love it. I have used it for years, it is a wonderful product! My customers love receiving the app and it has helped grow what I can offer to my customers. A great product! MyPhotoApp's unique set of capabilities provide everything you need build gorgeous apps for your clients across all devices... the easy way. One of the many things that sets MyPhotoApp apart is the support. Unparalleled support from a friendly team that always goes above and beyond. Our Facebook group takes our amazing support to the next level, providing tips and advice and helping customers grow their business. For a more detailed list of features, pricing and options, please start a free trial and once logged in, visit the license tab. Create an app in minutes! My Photo App can create an attractive photo album for your clients in minutes and the potential outreach and return is only limited by the outgoingness of your clients. It optimizes the use of an extremely valuable asset you are already sitting on: the social connections of your existing client database. Let's build your first app. It's free and sign-up takes less than 10 seconds. Sign-up takes a few seconds. It's free. Yo! Keep your credit card in your pocket. Our free trial is really free. No strings attached. You can use ALL the features of MyPhotoApp for 7 days. Go explore and discover the value it provides first hand. Once you see the value, then choose the plan that suits you.